Gainsborough Greens is the ultimate in contemporary living. 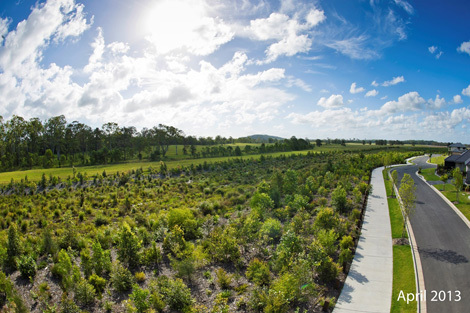 Set within a natural bush environment, over 65% of the development site is dedicated to extensive green open spaces. 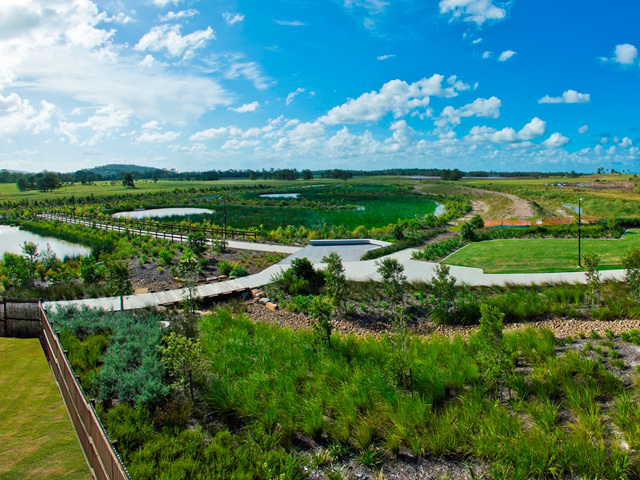 Situated on Swan Road in Pimpama Queensland, the Gainsborough Greens project involved the revegetation of the overland water course of a new housing estate, incorporating artificial wetlands and stormwater swale. 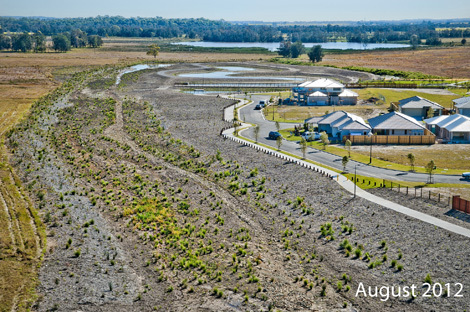 The project was completed in June 2012, with Evolve Environmental Solutions responsible for the mulching, planting and maintenance of the drainage swale and wetlands associated with Gainsborough Greens Precinct 6.1. The aim of the project was primarily to allow water flows to pass through an environmental corridor to the significant low lying swamp land to the rear of the estate. Engineering design was to cater for high rainfall events, whilst landscape design was to provide pleasant aesthetic amenity whilst adhering to plant species lists endemic to the area resulting in habitat for local bird species and fish species. The design was to reintroduce plant species to old existing farmland, to slow water flows and treat water runoff from the new housing estate. The landscape has survived several floods without damage and has seen the introduction of native fish to the wetlands and the return of numerous bird species. 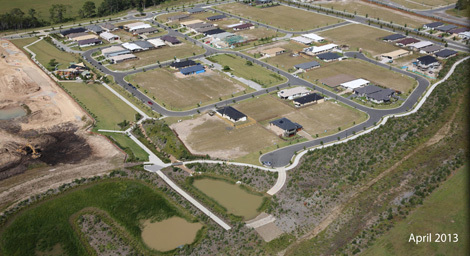 The key features of the project include the biodiversity of the plant schedule; the care taken by the designers and landscapers to plant specific grass species at optimal water depths; the consistent maintenance regime ensuring weed infestation is managed; and the introduced revegetation that has the ability to maintain itself once the construction maintenance period is completed.